BaitRageous: You smell fishy, melting floats, and when bobbers go bad! 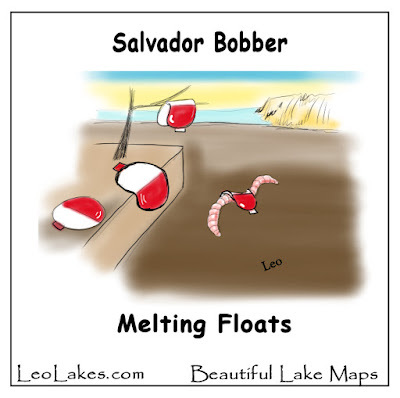 You smell fishy, melting floats, and when bobbers go bad! BaitRageous, trying to make bobbers fun, again! 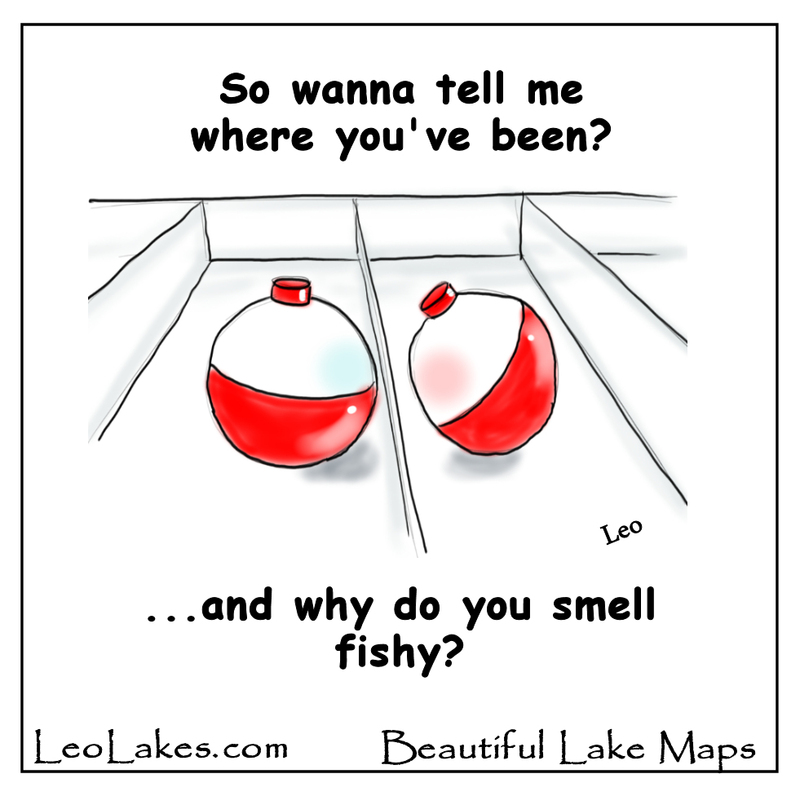 I've just added a few more cartoons for your enjoyment. I named them "You smell fishy, melting floats, and when bobbers go bad." 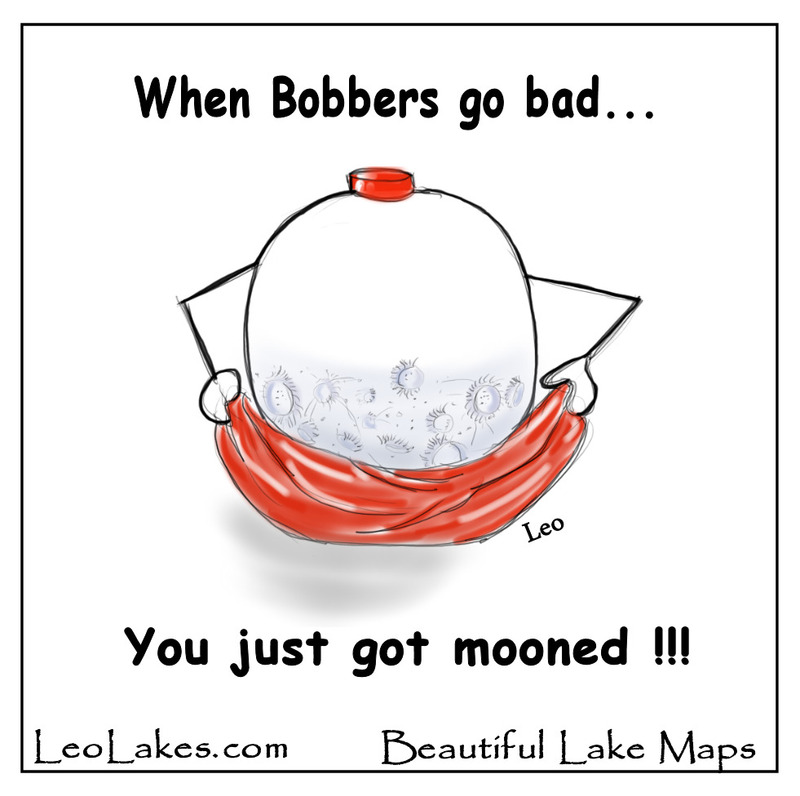 Clearly, you just got mooned, you'll see! 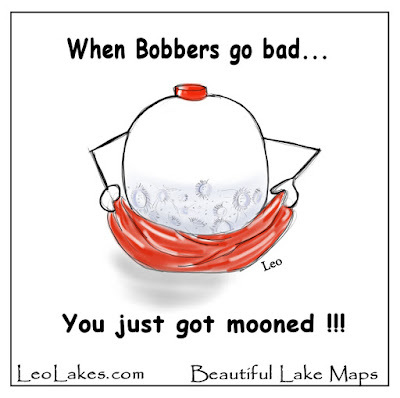 I always wondered what was under the red half of a bobber, didn't you? 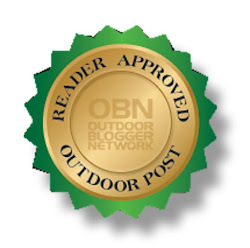 Paddle over to my website and take a look at my Lake, River, and Bay Maps. I have hundreds of decor maps on my website that can be purchased right from the site, or I can do custom and personalizes vintage style lake maps, too. 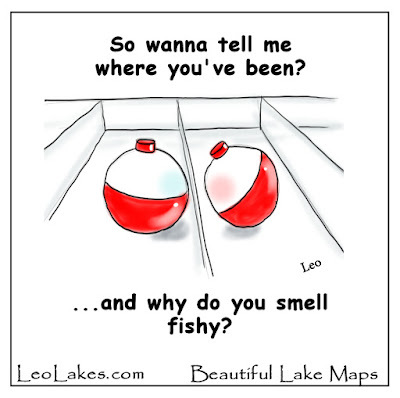 Lake maps will add beauty to your Fish Camp, Lake House or Cabin. The Best lake lover gift of he year. Find out more interesting facts about my treasured maps by going to LeoLakes.com. Need a Christmas gift for the lake lover?